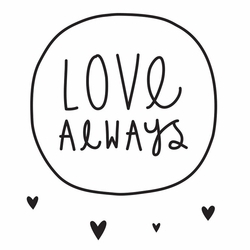 Cool wall sticker of a circle with the hand drawn text ‘Love always' with 34 little heart stickers. .
With these cool wall stickers you give the kids room a new look in an instant!.